At American Property Solutions, we provide both residential and commercial tree services in the Greater Lehigh Valley. 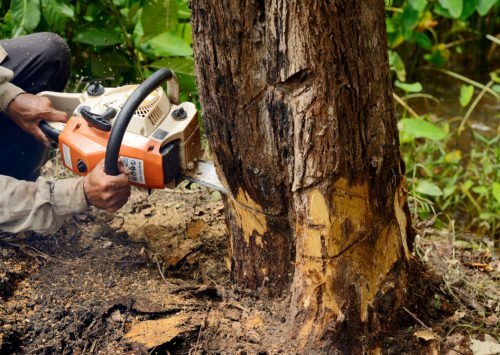 Whether you have a potentially hazardous tree situation or a stump that needs to be removed from your property, our tree service experts have the experience and equipment to handle it. Our expertise and specialized equipment will result in affordable and safe removal of trees from any location. Whether using traditional climbing techniques or utilizing our hydraulic bucket truck, we can safely remove trees of any size, even those located close to existing homes and buildings. 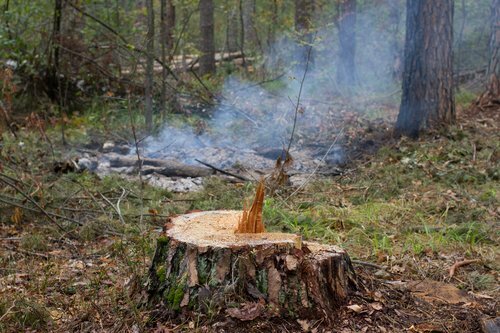 Why go through the expense of having trees removed from your property only to leave unsightly stumps in their place? Let our professional tree removal service grind those stumps down below the surface. It will give your yard a beautiful and clean look. Stump grinding is the most effective and efficient method of removing stumps from your property. In the case of diseased trees, stump grinding can help stop the spread of the disease by deadening the underlying root system.